The Cloud is there to be leveraged. It is no longer necessary to petition Procurement to buy another server just in order to "try out" something, or to configure a clean deployment, staging environment and so on. It is as easy as writing a few lines against a cloud API, or even using a web UI and then connecting over ssh to installed all the software you need to run your system. Cloud providers have become more and more sophisticated in what they offer, resulting in an extraordinary amount of added capability for the customer. The news is music to the ears of developers, testers and anyone running a project. No longer need the infrastructure dependencies be the reason for project delays. Furthermore, the Cloud offers flexibility and ease of scaling, clear usage cost models for a product, and the opportunity to stage releases on identical infrastucture. 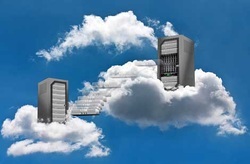 The classic "TCO of IT is lower" is the standard argument for using the Cloud, and this may be so (depending on how much is moved to the Cloud) but it is now mostly about flexibility, convenience and repeatability. In order to make the most of the Cloud, there needs to be a way of reliably configuring the (virtual) servers required to run your system. A few years ago, there was not much in the way of orchestration automation, and the cloud servers were not that easy to configure from the "mother ship". However, now there are many providers of good orchestration software and hosts, in particular Puppet and Chef. With such tools you can ensure that virtual servers can be built from scratch, using the latest OS and libraries (or whatever spec the system is limited to), and that this is repeatable. 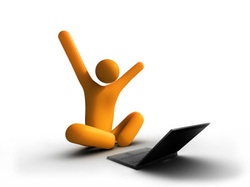 That capability is excellent news for developers, testers and support teams alike. It is the age of DevOps.